You might have heard CBD being touted as the newest miracle plant. How do you know what to believe, why you would use it, and how do you find a trustworthy source? CBD is short for cannabidiol, one of the many active compounds found in cannabis. There were several studies in the past few years that show useful benefits in using it medically. CBD is found in the seeds, stalk and flowers of the cannabis plant. Unlike THC, also found in the cannabis plant, CBD is not psychoactive. Even in massive doses, CBD does not produce a high and has minimal side effects. It can come from both the hemp and marijuana plants, and when produced from hemp, can be purchased legally in all states. Cannabidiol works in the human body by acting on the endocannabinoid system, which regulates mood, appetite, sleep, hormone production, and responses of both the immune and nervous systems. Reduces pain and inflammation – CBD can help alleviate pain from arthritis, neuropathy, injuries, and autoimmune conditions. Lowers stress and anxiety – CBD can help people with mood disorders, depression, and anxiety. It is also a very effective treatment for insomnia. Improves Digestion – due to the high concentration of nervous system tissue surrounding the gut, there are a large amount of endocannabinoid receptors in the area. In those with inflammatory bowel disease(IBS), and other GI issues, CBD can have a profound benefit. While cannabidiol is generally very safe with few side-effects, it is important to use caution if you are taking certain medications. It inhibits a pathway that the body uses to metabolize some medications. Therefore, it can make the action of some medications stronger. 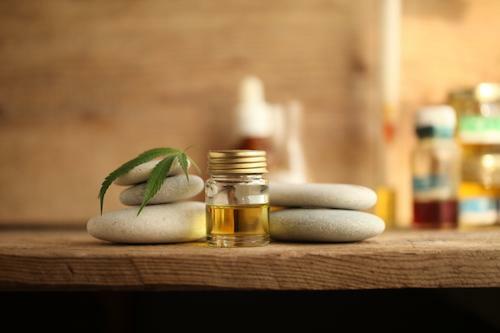 If you are taking medications, either do not take CBD or consult a doctor that is familiar with both it and your medications. I have recently affiliated with a reputable company that I think provides the highest quality oils. With support for responsible farming and processing, certificates of authenticity, and a number of different potencies available, I recommend Vivaoils CBD. Visit www.vivaoils.com to try some. Use coupon code klearman when you order and get 10% off! You gave the why, but nothing about the how….